Cinnamon is Gnome shell fork, done by Linux Mint community; if you’ve used any latest version of Linux Mint then you might have actually seen it because Cinnamon is the default Desktop in Linux Mint 12. 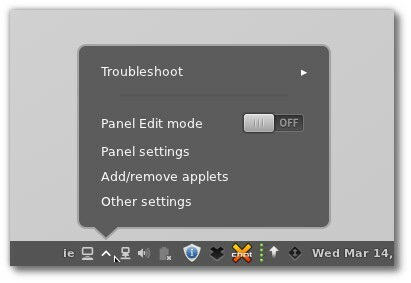 Gnome Shell is a totally different desktop, from its predecessor version 2.3 which was quite popular. In Gnome shell. most of the people didn’t like the new way of handling small things like – switching windows; in fact it wasn’t just so productive. So if you’re an Ubuntu 11.10 user (or 12.04, but stable is not out yet, Cinnamon is not available for 12.04 LTS yet) and want to enjoy Gnome 2 experience on Gnome 3, then you must give Cinnamon a try – because it may help you in restoring the productivity you may have lost in Gnome Shell or Unity interface. The project is very new but the user base is growing well due to its simplicity and ease of use. The New version Cinnamon 1.4 was released a week ago, and it’s available for a number of GNU/Linux distros including Linux Mint, Ubuntu, Fedora 16, ArchLinux, OpenSuse 12.1, Gentoo etc.